(1) Mean Girls is the Best. Movie. Ever. (6) Ohmygod is this social suicide? (7) I hope not. I love The Plastics. Haha. (8) Off to re-watch this movie again. 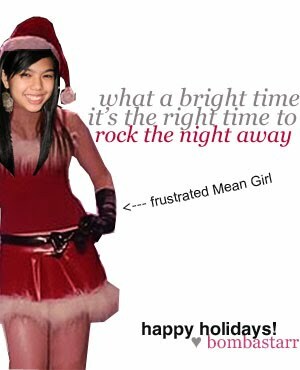 (9) I hope your Christmas turns out to be sooo fetch!